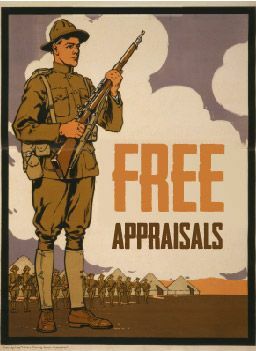 If you’re just curious how much your WWII item is worth and not wanting to sell, I am happy to offer free appraisals. 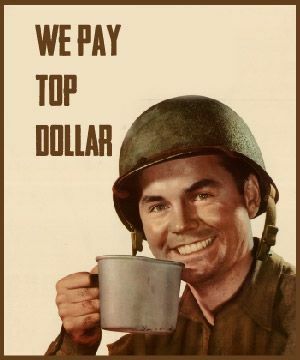 Value of WWII memorabilia ranges from a few dollars to thousands of dollars. Some sites charge $35 per item for WWII appraisals. We do not charge fees for this service. You really get a WWII free appraisal with no commitment or pressure to sell.Emails will be responded to quickly and professionally. Most emails will be responded to in less than 10 minutes during normal business hours. Please make sure when emailing, that you take clear pictures of the WWII item. A brief history of where it came from would be nice, but usually not necessary. Sending money / items over the internet is not the safest for either party involved. There are a lot of scams and dishonest people. 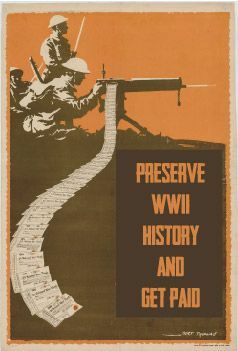 Sites might claim to offer a WWII free appraisal service and turn around and steal your items. It will not happen on this site. Be smart, be safe on internet transactions. Google my name / website to see that I am legit with only positive transactions. References upon Request. If you decide to sell to me after your free appraisal, WWII items must be received before payment can be made. Tracking, insurance & signature confirmation required as it protects both parties. Payment can be made though: PayPal (recommended), Money Order, Cashiers Check or Western Union.